It is critical that consumers are made aware of when major appliances are recalled. However, it is often only widespread recalls that receive attention in the news and other media outlets. While they affect a smaller range of people, it is still critical that homeowners are made aware of smaller recalls so that every owner is notified of the recall. Thusly, while it only affects about a thousand units, we will be using this post to quickly highlight a recall involving BlueStar wall ovens that were first announced in 2013. 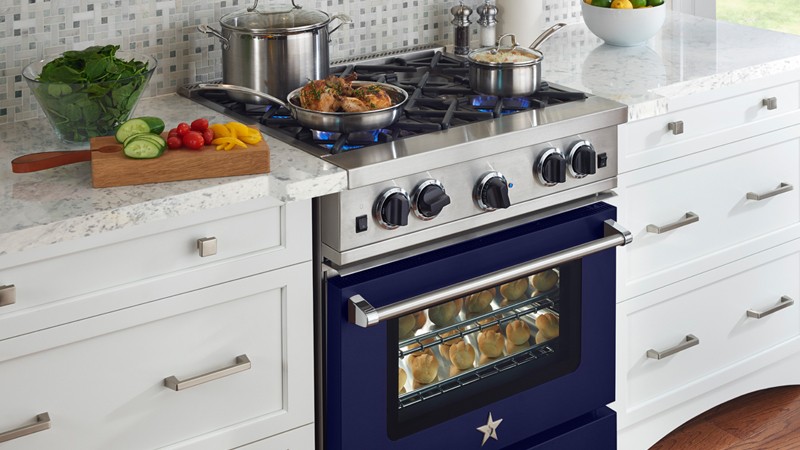 On February 7, 2013, Prizer Painter Stove Works announced a recall of their BlueStar Wall Ovens due to the fact that they posed a fire hazard. Prizer Painter determined that some of these wall ovens had been improperly installed, or they had damaged flexible gas connectors, which could lead to fires. At the time of the recall, the company had received one report of a fire which resulted in property damage. Fortunately, no injuries have been reported as a result of this issue. The recall affects about a thousand BlueStar gas stainless steel wall ovens manufactured prior to November 2012 and includes 24, 30, and 36-inch models. The recall affects model numbers BWO24AGS, BWO24AGSL, BWO30AGS, BWO30AGSL, BWO36AGS, and BWO36AGSL. The recalled units were sold at appliance stores and by kitchen equipment dealers nationwide between January 2008 and November 2012, and they sold for between $2,250 and $3,900. If you believe that you or a loved one may be affected by the recall, the most important thing for you to do is to stop using the oven. You will then want to contact the manufacturer for help determining whether your oven is affected as well as to schedule a free repair. While our repair technicians have a great deal of experience performing oven repairs, it is best to deal with the manufacturer in the event of a recall as they will be able to determine whether your unit is affected by the recall, and they will provide a free repair or replacement. However, feel free to contact us for any other appliance repair needs you may have.